A team of Hokkaido University researchers has developed a novel material synthesis method called proton-driven ion introduction (PDII) which utilizes a phenomenon similar to "ion billiards." 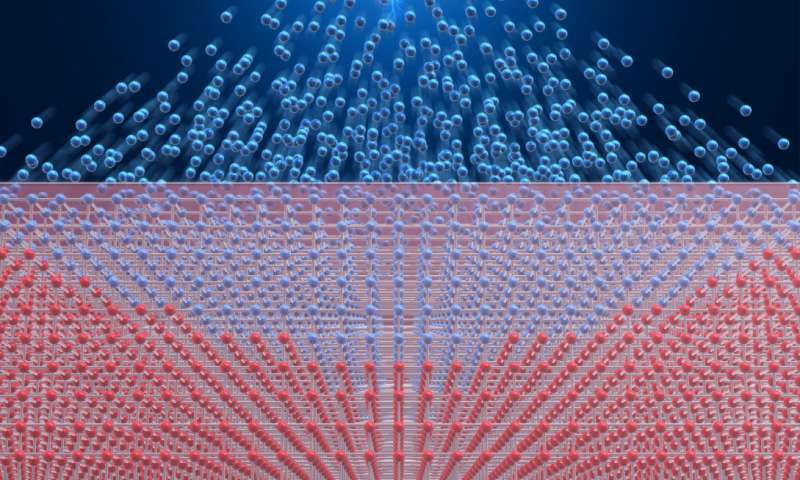 The new method could pave the way for creating numerous new materials, thus drastically advancing materials sciences. The synthesis method is based on a liquid-free process that allows for intercalation – insertion of guest ions into a host material – and ion substitution with those in the host material by driving ions with protons. This study, led by Assistant Professor Masaya Fujioka and Professor Junji Nishii at the university's Research Institute for Electric Science, was published in the Journal of American Chemical Society on November 16th. Conventionally, intercalation and ion substitution have been conducted in an ion solution, but the process is regarded as cumbersome and problematic. In a liquid-based process, solvent molecules can be inserted into the host materials along with guest ions, degrading the crystal quality. 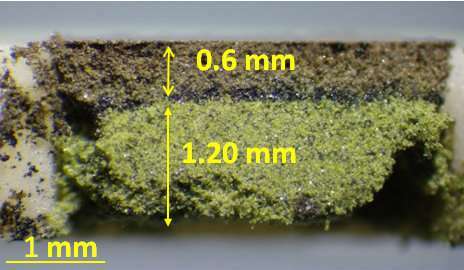 It is also difficult to homogeneously introduce ions into host materials, and some host materials are not suitable when used with liquids. In the PDII method, a high voltage of several kilovolts is applied to a needle-shaped anode placed in atmospheric hydrogen to generate protons via the electrolytic disassociation of hydrogen. The protons migrate along the electric field and are shot into the supply source of the desired ions – similar to balls in billiards – and the ions are driven out of the source to keep it electrically neutral. Ions forced out of the source are introduced, or intercalated, into a nanometer-level gap in the host material. 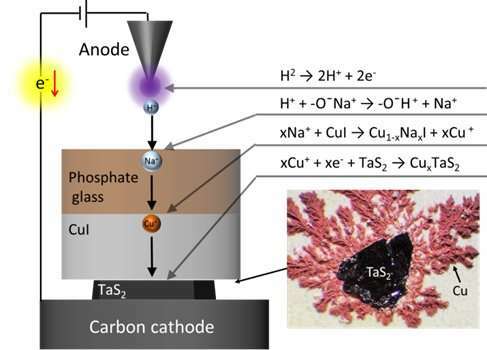 In this study, by using different materials as ion supply sources, the team succeeded in homogenously introducing lithium ions (Li+), sodium ions (Na+), potassium ions (K+), copper ions (Cu+) and silver ions (Ag+) into nanometer-level gaps in tantalum (IV) sulfide (TaS2), a layered material, while maintaining its crystallinity. Furthermore, the team successfully substituted Na+ of Na3V2(PO4)3 with K+, producing a thermodynamically metastable material, which cannot be obtained using the conventional solid-state reaction method. "At present, we have shown that hydrogen ions (H+), Li+, Na+, K+, Cu+ and Ag+ can be used to introduce ions in our method, and we expect a larger variety of ions will be usable. By combining them with various host materials, our method could enable the production of numerous new materials," says Masaya Fujioka. "In particular, if a method to introduce negatively charged ions and multivalent ions is established, it will spur the development of new functional materials in the solid ion battery and electronics fields."